1oz, 2oz, 4oz, 8oz and 16oz bottles are available. 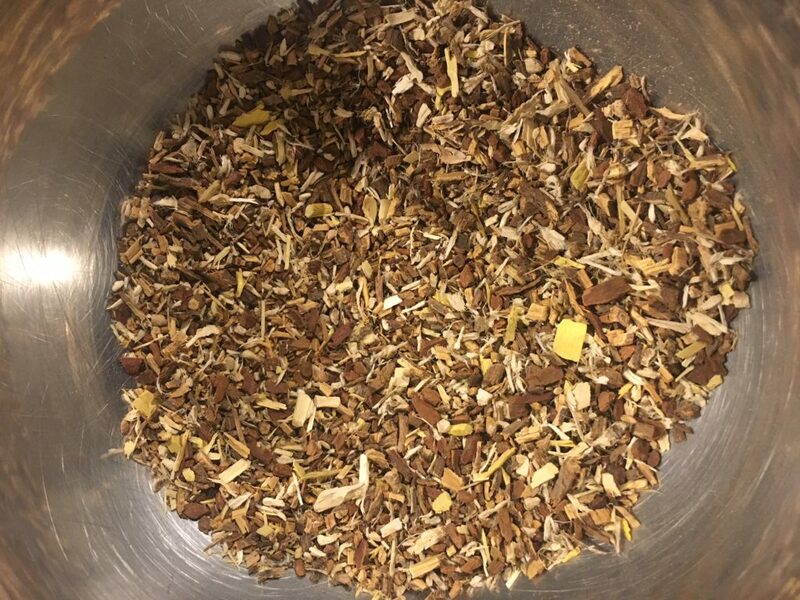 Fire Cider Immune Strengthener $2 an ounce, $1.50 an ounce if you bring your own bottle. 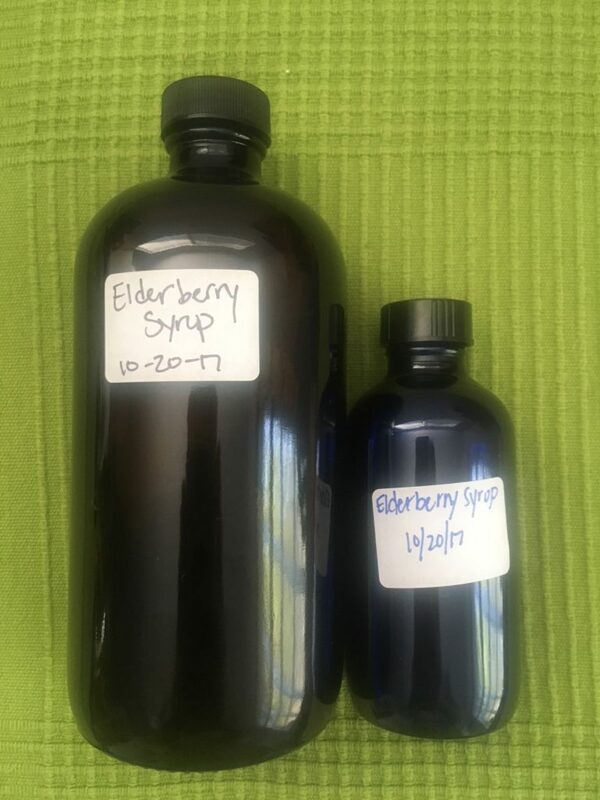 Elderberry Immune Syrup $2.50 an ounce, $2 an ounce if you bring your own bottle. 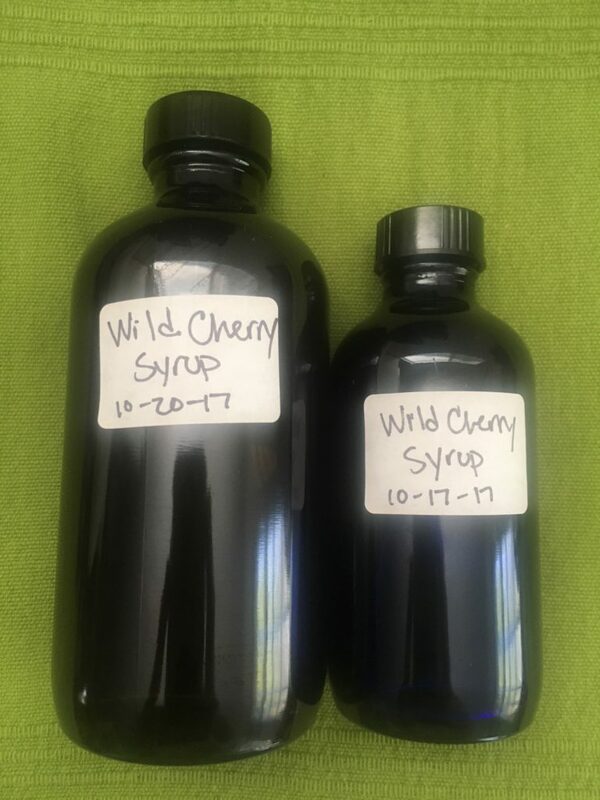 Wild Cherry Cough Syrup $2.50 an ounce, $2 an ounce if you bring your own bottle. 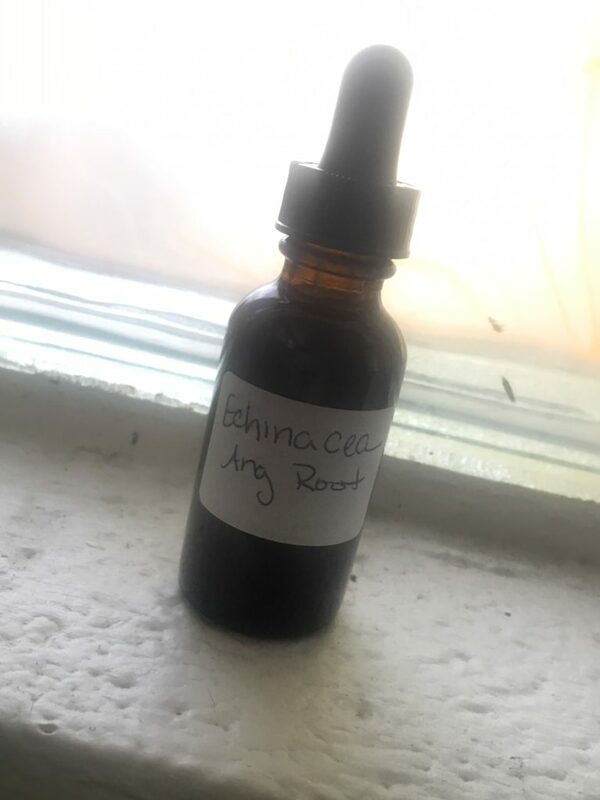 Echinacea Tincture $8 per ounce. Fever Reducing Tea $.05 per teaspoon (1 teaspoon = 1 cup). 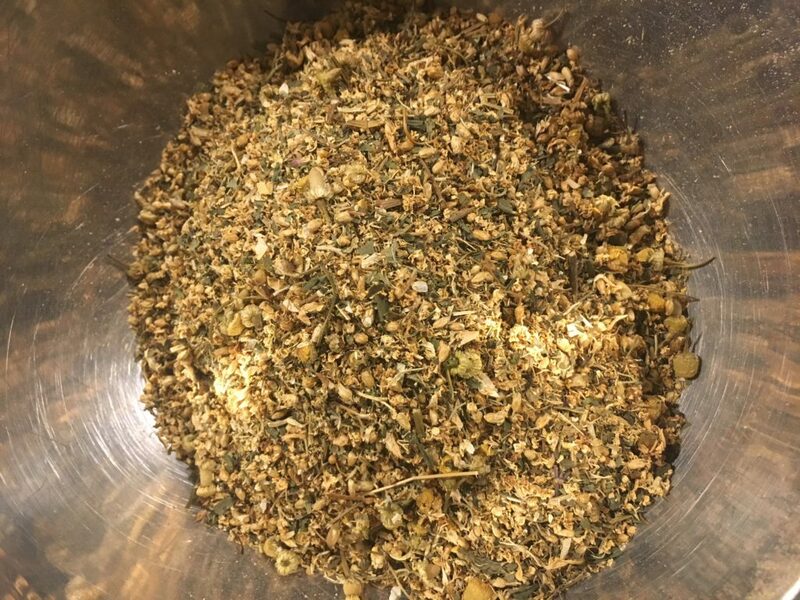 Throat Soothing Tea $.05 per teaspoon (1 teaspoon = 1 cup). Keep Well Essential Oils – 5 different essential oils to purify and heal in an Apricot oil base. $8 per ounce. 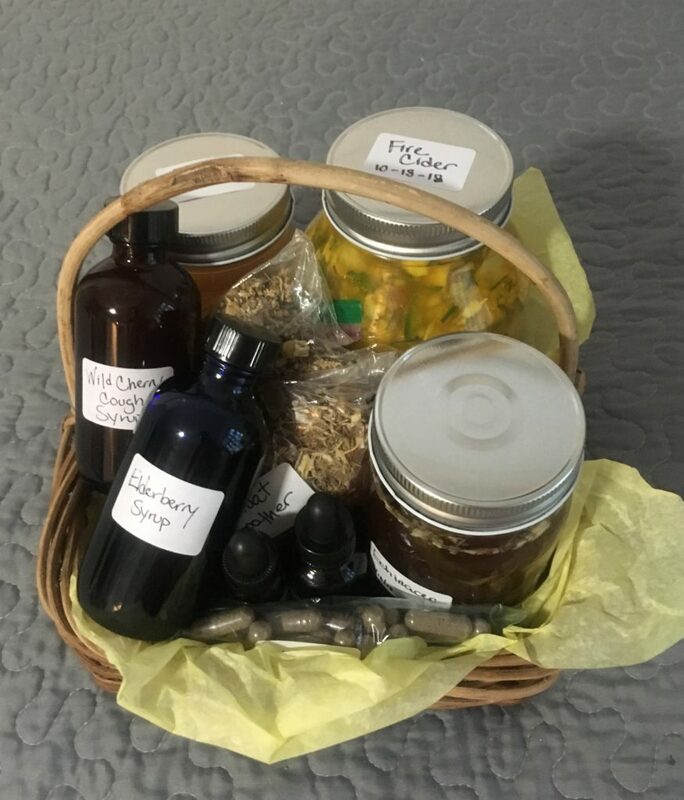 There are baskets of goodness available for $55. The basket contains everything above! Such a deal! 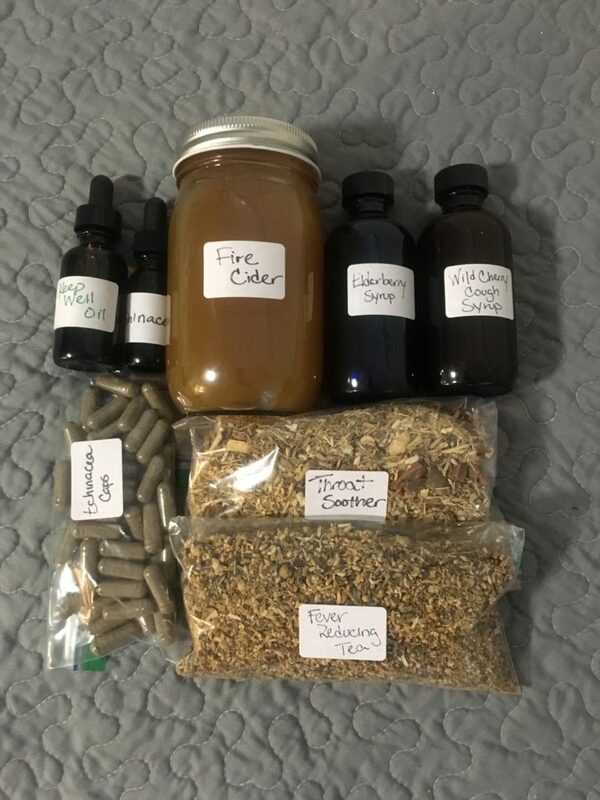 I have many more teas and tinctures available but these are specific to keeping our immune systems strong and healthy for the upcoming cold and flu season. 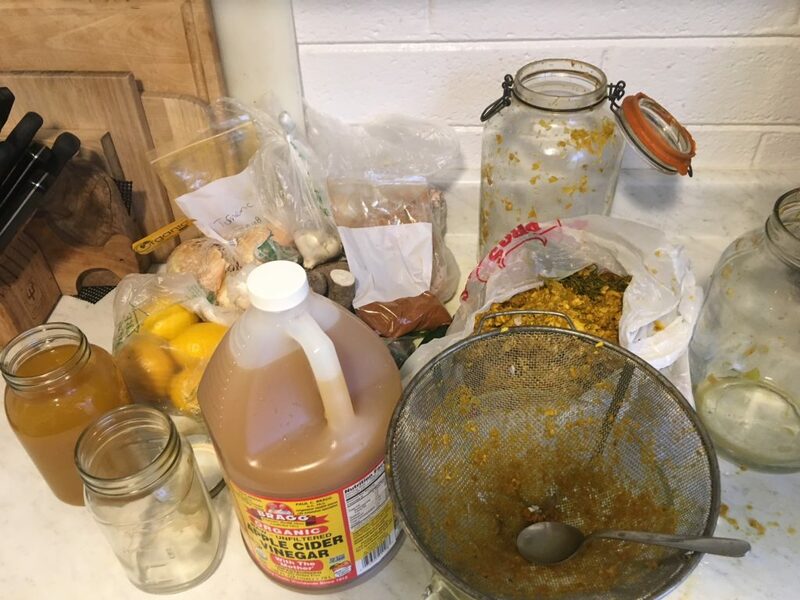 We also have another class coming up to teach you how to make your own medicine! Check it out on Facebook or ask Wendi about it when you call.